follows a group of friends in an AIDS ridden but glamorous New York City and their struggles and relationships throughout the year. 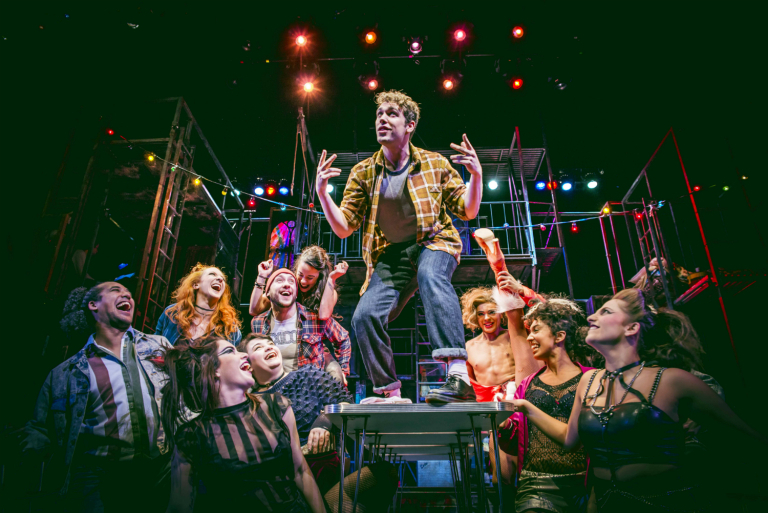 This tragic tale is more than rough around the edges, with rocky vocals and graffiti scrawled across every inch of Anna Fleischle’s grungy set, this rock musical is more relevant than ever. Impeccable casting formed a silky smooth yet unquestionably strong ensemble whose vocals shone in “Seasons of Love”. Solos from secondary characters sent shivers down my spine and induced mid-song cheers. There is not a single weak link within the cast of 15. The strong chemistry across the stage meant the performance only got better as more characters were introduced. Layton Williams as the drag queen, Angel, stole the show by back-flipping and high-kicking his way into our hearts. All in six inch red velvet platform boots too. The attention-grabbing choreography by Lee Proud suited Angel and his fellow HIV+ friend, exotic dancer Mimi, down to the ground. More and more I am seeing live music on stage, and RENT is not an exception. The heavy music grounded the piece and balanced out the noticeable amount of lines that are sung, giving weight to a musical that could easily get carried away with itself. in the end stands strong in a chaotic story. The fiercely grungy yet powerfully magical musical is like nothing I have ever seen before and throughly recommend you go and see it. At the Cheltenham Everyman until Saturday. 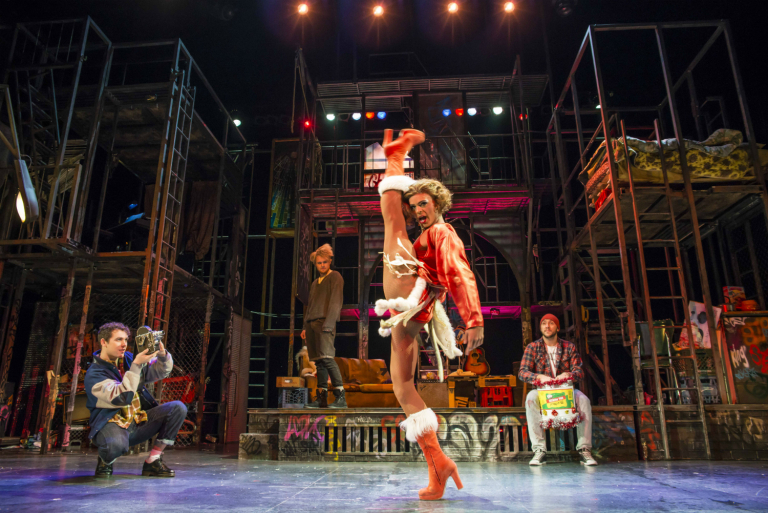 Be the first to comment on "Review: RENT at Cheltenham Everyman"